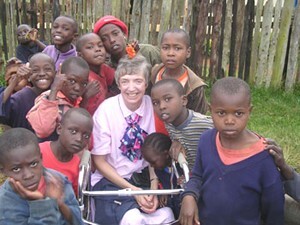 Kenya has various Children orphanages and children homes. These orphanages are located around the capital city Nairobi and in the rural areas, therefore the volunteers will choose where they want to volunteer among these orphanages in Kenya. These orphanages takes care of young children who have lost their parents to HIV/AIDS which is very common here in Kenya. Other factors that make equally deserving young innocent children to live in children homes include poverty, abuse and sicknesses. These children need our support to give them hope in life. As a volunteer, you will primarily assist the staff at the orphanage with English and basic math classes. You are also encouraged to feel free and come up with things like games, arts, crafts, music, dance,and organize sports as well. You can also baby sit,help the kids with homework, play sports, take them down the road for walks, and generally just get to know and care for them.You can also help in refurbishing facilities and helping in the general welfare of the children homes in Kenya. Volunteers are also welcome to organize some day trips on weekends and holidays for the children. Among other activities our orphanage volunteers are involved in include, helping teachers in surrounding schools and assisting at the orphanages in the feeding program.